3-D suspension see-through packaging and display frames, hinged with magnetic closure. Two-piece packer included. 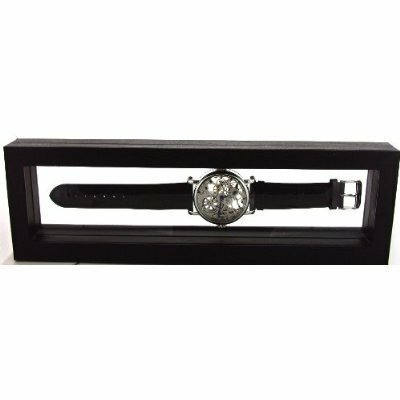 Use this box to display your watches, pens, or anything else that is dear to you and that you would like to preserve and enjoy displaying at the same time. Made of high quality materials, this box is perfect for storing items that are fun to look at, and that should remain contained.